Pale Male was already in one of his favorite roost trees when I went to look for him this evening. After a few minutes, Lola arrived to be with him, first landing on his branch and then moving a few feet away to another branch after about a minute. I wonder if the number of "intruders" in the park this time of year encourage them to sleep together? The first photo is of Pale Male and the rest are of Lola. The Blue Jays in the park have been making lots of noise these last few weeks. Most of the time it seems to be a false alarm, but this afternoon they were helpful. They helped me find a juvenile Red-tailed Hawk and an Accipiter (either a Cooper's Hawk or Sharp-shinned Hawk). 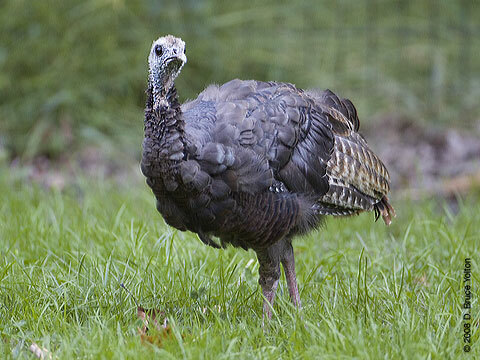 They were west of the Conservatory Garden and east of the Compost Heap. All of the pictures but the last one are of the Red-tail. It was eating something with a thin band on each leg. I didn't stay long enough to see if they got swollowed. The Accipiter came swooping in and landed on the far side of the Conservatory fence and I couldn't get an I.D. It flew west. I ran after it but couldn't find it once I got up to the Compost Heap. Pale Male was in a few of his favorite trees late this afternoon and early evening. He was in one of his regular spots in a tree on the west side of the Great Lawn when I arrived, moving just for a moment to a tree 100 yards north. He then went to his favorite tree north of Turtle Pond before going to a standard roosting spot at the bottom of Cedar Hill. Golden-Crowned Kinglets and Palm Warblers may be common this time of year, but that doesn't make them any less beautiful. I had new bird in Central Park today, a Vesper Sparrow. It was on a ridge of rocks just north of the North Meadow. It was nice to have a life bird. They're getting much harder for me to get these days in Central Park. Usually, Pale Male is the easier hawk to find and photograph of the 5th Avenue pair, but today Lola was the easiest to find. I saw her in the morning in the Ramble and in the afternoon on 1040 Fifth Avenue, the Beresford Apartments and the American Museum of Natural History. 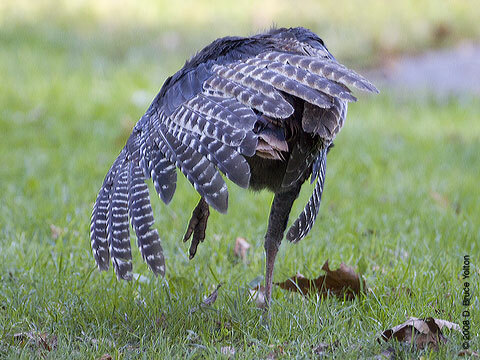 The park's young Wild Turkey is looking much better and seems to be nearing the end of his fall Juvenile molt. There was a Cooper's Hawk in the Ramble of Central Park today. It was one of our first really crisp fall days, and we should have Cooper's Hawks in the park from now until Spring. It was one of my first surprises, when I started bird watching in the park, that Central Park is the winter home of many birds. Pale Male went "to bed" in this week's usual spot tonight. Lola flew over to be near him, but kept on going and perched on a tree north of the Met for about ten minutes. She then went to a tree next to Pale Male's. But she didn't stay and left going south south along the east side of the Great Lawn, where I lost track of her in the twilight. When I finally think I understand this pair, they always do something that surprises me. I guess it's what makes watching them so much fun. The pictures below are of Pale Male on his roost for the evening. Pale Male was on the Belvedere Castle flagpole when I arrived at the Great Lawn this evening. He flew off seeming to chase a bird off, while going to his nighttime roost. In the early evening, Pale Male was in a tree in the Great Lawn. He flew off after something, and both birds touched in flight. I couldn't identify the species of bird Pale Male got into a tussle with, but if I had to make an educated guess, based on its square striped tail and size relative to Pale Male, I would choose Sharp-shinned Hawk. Afterward, Pale Male was found in one of his favorite roost trees. I didn't have a chance to see if he stayed in the tree for the evening. 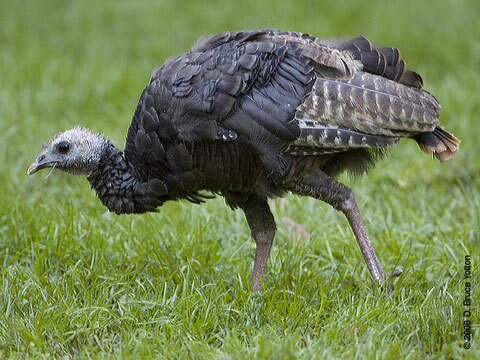 The Wild Turkey in Central Park is looking a lot better these days. 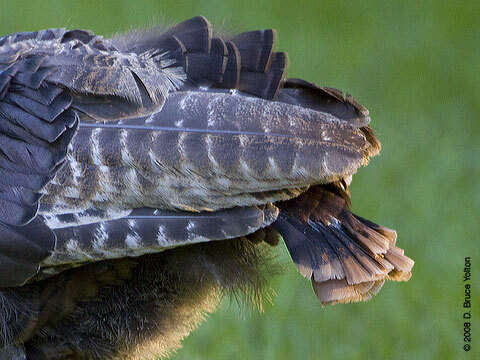 Almost all of the molted feathers are coming back and today for the first time I heard it start to vocalize. I can't wait to see what the final result is going to look like (and sound like) in a few weeks! The Connecticut Warbler was more difficult to find on Sunday, but for about twenty minutes gave us excellent views. 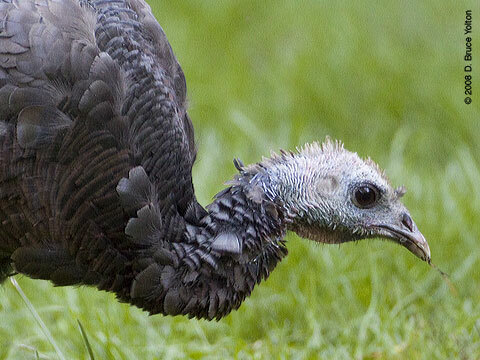 The bird seen on Sunday has some feathers out of place near the back of its head on the right side. The Connecticut Warbler that has been in the Pinetum has stuck around and was seen on Saturday. 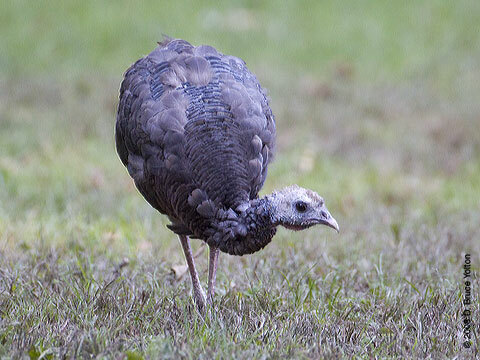 I photographed it and some birds at Tanner's Spring. Sunday and Monday Warblers and more. . .
Central Park had a Connecticut Warbler Sunday, with another Connecticut Warbler being seen on Monday. I photographed other warblers on Sunday, including a Yellow-rumped Warbler, Pine Warbler, Magnolia Warbler, Palm Warbler and Yellow-breasted Chat. In addition to the warblers, I got nice shots of a Red-eyed Vireo and a Northern Mockingbird. Pale Male was in a favorite tree on the East Drive opposite the Met on Sunday afternoon. He was hassled by a few Blue Jays for a few minutes. After about half an hour, he then flew to what sometimes is his regular roost tree, before moving a few blocks north for the evening. He settled down, and Lola joined him for the evening in a nearby branch. 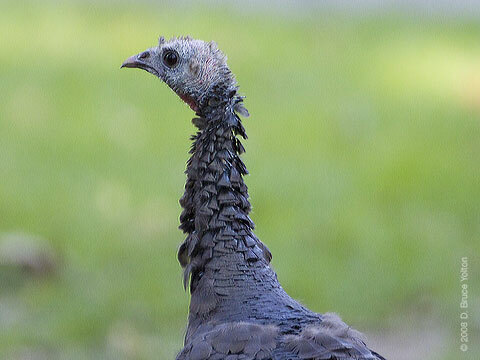 Central Park's young Wild Turkey is looking much better. 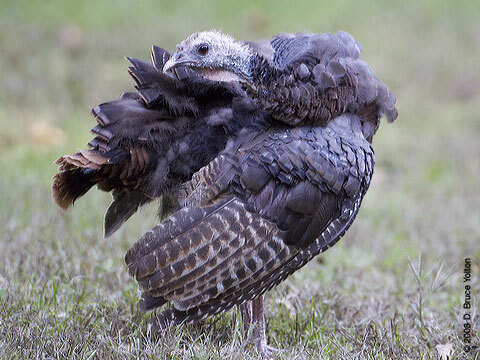 After molting, it has grown back its neck feathers, and is beginning to grow back its tail and coverts feathers.